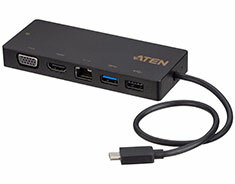 The UH3236 connects a USB-C enabled computer to up to 5 peripheral ports that includes a USB 2.0 Type-A, USB 3.1 Gen 1 Type-A, Gigabit LAN, HDMI, and VGA – through a single USB-C cable. The UH3236 routes video from a source computer to a 4K HDMI (3840 x 2160 @ 30 Hz) or VGA (1920 x 1200 @ 60 Hz) monitor via a single cable. 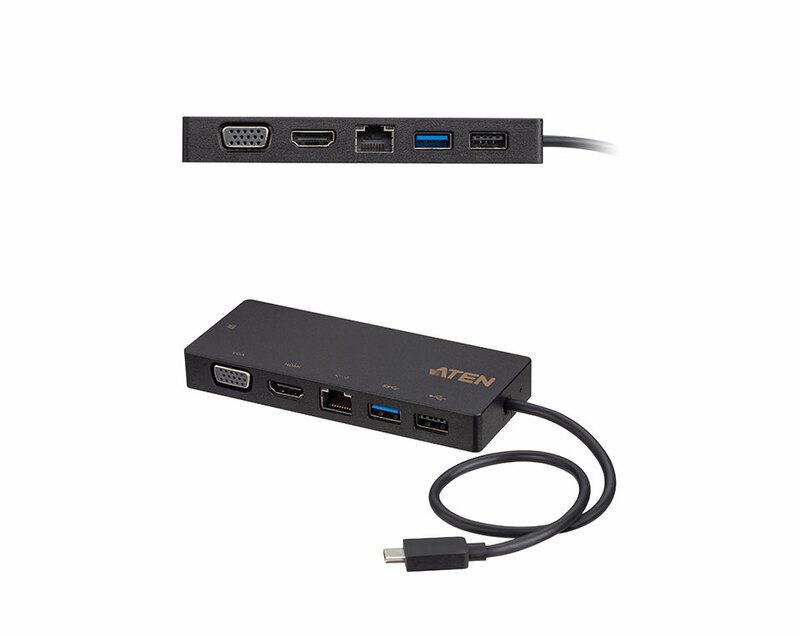 This dock provides one USB 3.1 Gen 1 Type-A port for 5 Gbps high-speed data transfers and one USB 2.0 Type-A port for keyboard and mouse usage. The UH3236 also supports USB-C Power Delivery Pass-Through to up to 60W, which means it can provide power to your laptops via a USB-C power adapter with PD profile specifications of 5V, 9V, 12V, 15V, 20V. With UH3236, users can save desk space, and expand devices connectivity, and creates a personalized desktop environment.This powerful and versatile dock offers a perfect portable solution for connecting multiple sources to a USB-C enabled computer.